A dark movie theater. A silent museum. The opportunities to be truly immersed in a work of art for any length of time are growing ever rarer. Even when we manage to tear ourselves away from the DVR and the earbuds, the theater has its ads and whispers, and the museum may have crowds, so that you end up straining on tiptoe to catch a glimpse of that Vermeer rather than contemplating it in leisurely wonder. Which is why it was such a treat last week to take a long drive from Atlanta to Charlotte, wending my way up the Cherokee Highlands Scenic Highway. I stopped at lookouts and hiked to waterfalls. 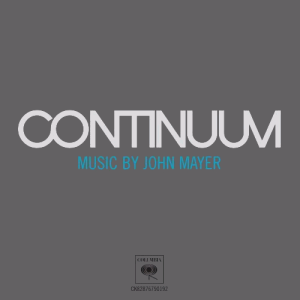 But mostly I just drove through silent mountains and hills and soaked in a great work of art, John Mayer's Continuum. For hours on end, with the CD player set on repeat, I listened. Mayer is not only one of the best guitar players and vocalists, but he's an amazing songwriter. The music is complex, and the lyrics . . . I think he's the best lyricist working today. And he's a brave lyricist because he attempts, and succeeds at, the most difficult challenge in art: writing about happiness. Tolstoy said that all happy families are alike and all unhappy ones unhappy in their own way, but that's an outright lie. Unhappy families do have built-in drama, though, and a certain leeway in tone. When you write about happiness you have to hit the emotional note just right: conveying warmth and joy without cliché or sentimentality. Packing in import and complexity without the assist of conflict. A child may be equally shaped by a parent hitting her as by a parent lying in bed with her each night to hear about her day, but one is a lot easier to make art about than the other. So I really admire art that eschews the crutch of unhappiness. Pink's "Glitter in the Air." Taylor Swift's "The Best Day." Midsomer Murder (whose star, John Nettles, deliberately set out to create a detective who was happily married and well-adjusted instead of the stereotypical flawed hero of most crime series). Mike Leigh's Happy-Go-Lucky. And John Mayer's "Stop This Train." "Stop This Train" is an almost unbearably sad song about mortality and death. But its sadness emerges not from waste and hurt but love and happiness: the experience of having a loving family and good parents, and then, as a young adult, starting to see the writing on the wall. "Don't know how else to say it / Don't want to see my parents grow old." Come on, now (as we say in Baltimore) . . . How many great pop songs are about the artist's parents?? The only other one I can think of off the top of my head is "The Living Years" by Mike and the Mechanics, back in the 80s. A really good song, but it's about a troubled relationship, and, of course, not at the same musical level. But it's still worth listening to today, for its beauty and the rarity of its subject matter.